At the end of 2017 we were happy to inform you that due to large interest we decided to acquire PROBA-V data over Antarctica from November 2017 up to February 2018. We are now pleased to inform you that the campaign is finished. The 1 km, 300 m and 100 m products of Antarctica are online available via the distribution platform in the respective product collections. The image above shows an example of a seamless mosaic of all orbits needed, projected and cropped to the land borders. 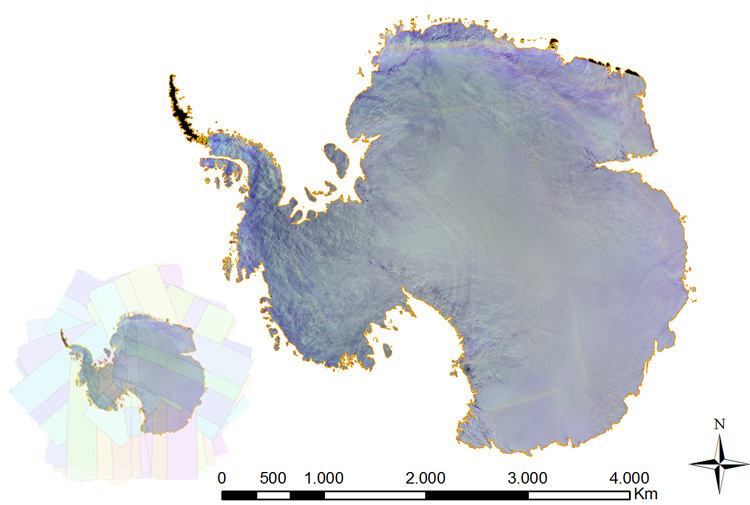 The pop-up image on the left shows all the orbits needed to image the total land mass of Antarctica in 1 km or 300 m resolution.